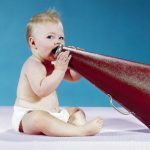 How do infants learn to talk? Our research focuses on the developmental processes by which knowledge of speech and language is acquired from the social environment. 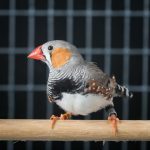 We use a comparative approach, studying vocal learning and development in young songbirds and humans. To investigate the processes by which infant development is constructed from interactions with caregivers, we take a micro-analytic approach to social learning. We observe and manipulate parent-offspring interactions at small time scales to understand mechanisms of developmental change. Our primary research goal is to identify parameters of social interaction that are crucial for infant learning to better understand causal forces of development. These parameters take the form of perceptual mechanisms in the infant (e.g., pattern recognition and statistical learning) and of structure in the social environment (e.g., caregivers’ infant-directed speech and responsiveness to prelinguistic vocalizations). This general goal has given rise to five research programs, all organized around the development of communication and language. We are currently running studies on both human infants and songbirds. Data from these programs demonstrate that the development of intelligent behavior is embedded in social processes. Infants, like many organisms, must rely on the brains and bodies of others as an alternative to evolving specific capacities for surviving in a complex environment. Socially distributed intelligence is evidenced by the foraging and nest-building activities of termites, ants, and bees, in the movements of rat pups as they huddle to collectively thermoregulate, and in the vocal development of male cowbirds that rely on the visual reactions of females to shape their immature sounds into functional song. Our research shows that caregivers and infants constitute a system of distributed intelligence, one in which maternal behavior and infant sensory capacities interact to generate the development of more advanced infant behavior. Thus we focus on patterns of interaction between caregivers and infants as a source of developmental change.